← NACCHO Aboriginal Health Funding alert : $13.1m infrastructure grants for existing regional, rural and remote general practices. 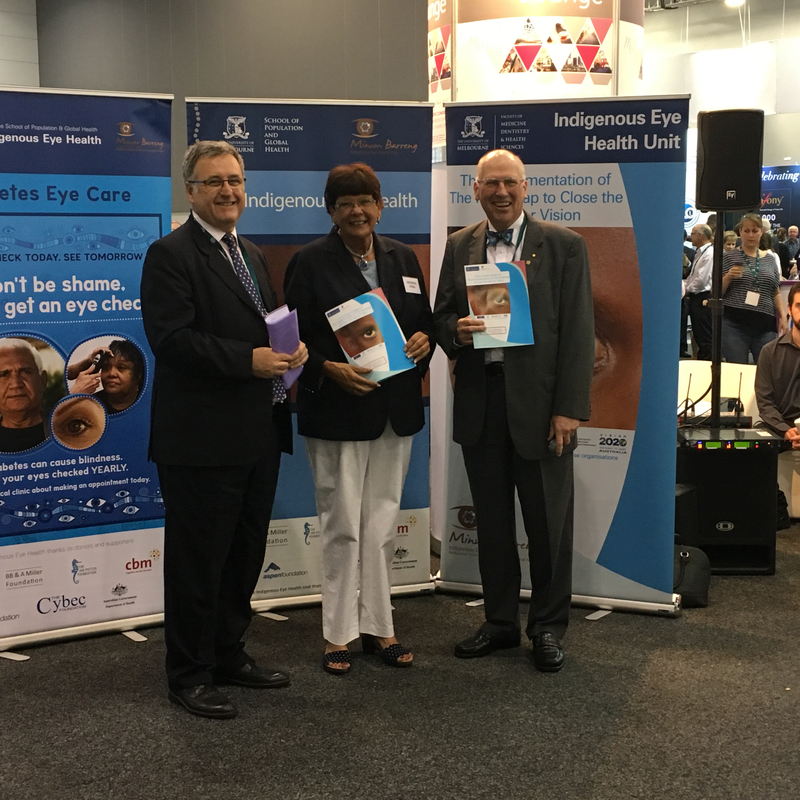 ” Eye health and good vision is an important issue for everyone, but particularly for Aboriginal and Torres Strait Islander people. It accounts for a significant proportion of the health gap between Indigenous and non-Indigenous people. I’m pleased to report that progress is being made. 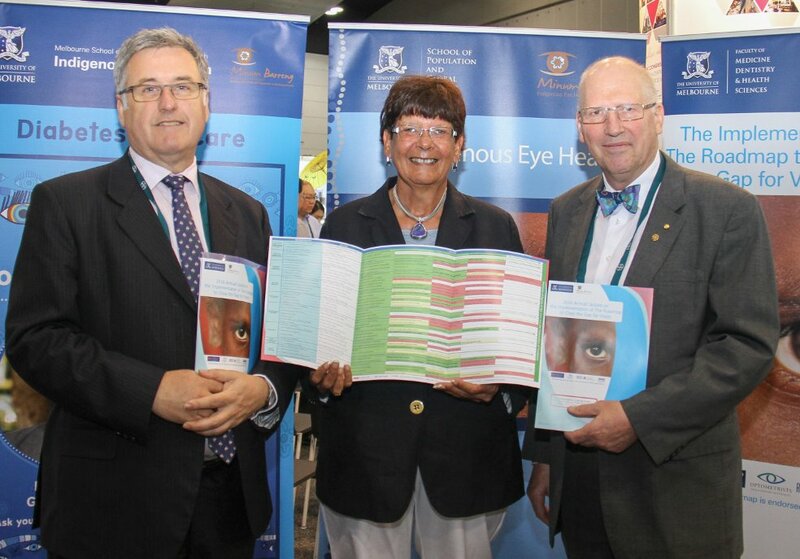 The National Eye Health Survey, released on World Sight Day this year, also tells an important story. Rates of blindness amongst Aboriginal and Torres Strait Islander people have improved from 6 times to 3 times as much compared with non-Indigenous people. And the prevalence of active trachoma among children in at-risk communities fell from 21% in 2008 to 4.6% in 2015. 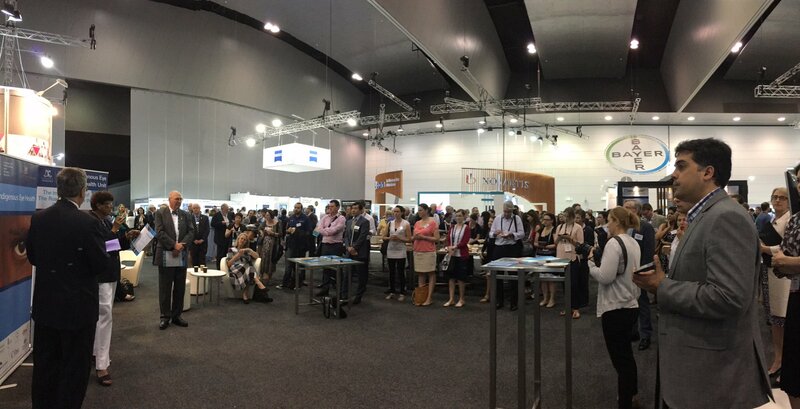 The Roadmap to Close the Gap for Vision has played a part in prompting actions that contribute to this improvement. 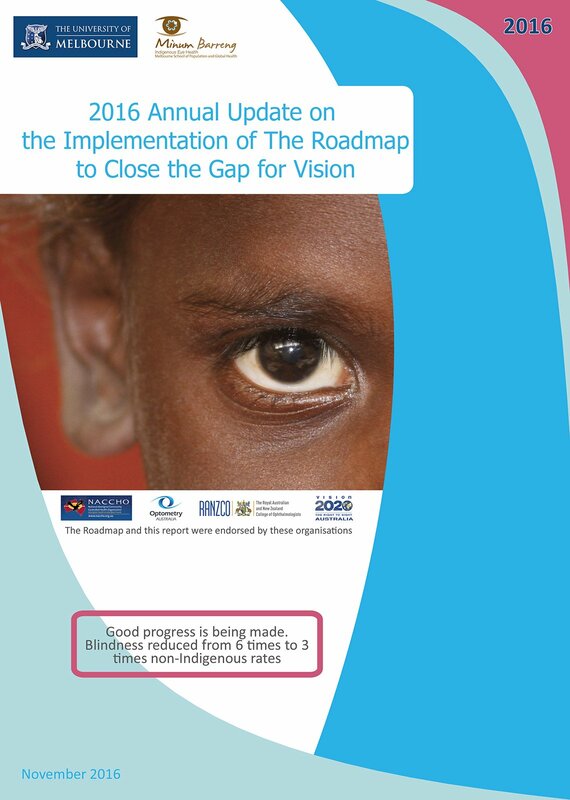 The Roadmap outlines a whole of system approach to improving Indigenous eye health, and achieving equity between Aboriginal and non-Aboriginal eye health outcomes. There is however still work to be done on Closing the Gap for Vision. For example, half of Indigenous participants with diabetes had not had the recommended retinal examination. Pat Turner pictured above with Mark Daniell President, RANZCO, and Prof Hugh Taylor at the launch.